On this installment of ST, we offer another Museum Confidential podcast, which is a popular, twice-monthly production from Jeff Martin of Philbrook Museum of Art and our own Scott Gregory (who's the Production Director here at Public Radio Tulsa). We hear from Dr. David Pilgrim, founder and curator of the Jim Crow Museum of Racist Memorabilia at Ferris State University in Michigan. This museum was born out of his personal collection, one that began decades ago, when Dr. Pilgrim was growing up in Alabama. This episode offers a chat with Alexis Light, the Senior Manager of Media Relations and Marketing at The Frick Collection. She is that NYC museum's thought leader when it comes to public relations, marketing, and social media content. Also in this pod, we begin an occasional feature called "At a Museum in America." Our far-flung, gallery-going correspondent for this new feature is one Preston Poe, an independent curator, artist, and songwriter who also hosts "The Preston Poe Show" (which you can access at prestonpoe.com). On this edition of StudioTulsa, our guest is pioneering conceptual artist Mel Bochner. Since his groundbreaking 1966 work, "Working Drawings," which featured photocopied working drawings, bills, and ephemera of his artist friends, Bochner has explored painting and language, and asked viewers to think about both in new ways. He's best known for his thesaurus works, several of which are in the new exhibit at Philbrook, "Amazing! Mel Bochner Prints from the Collections of Jordan Schnitzer and His Family Foundation." A noted art collector and philanthropist has sold a major painting for an eye-popping $165 million to raise money for criminal justice reform. 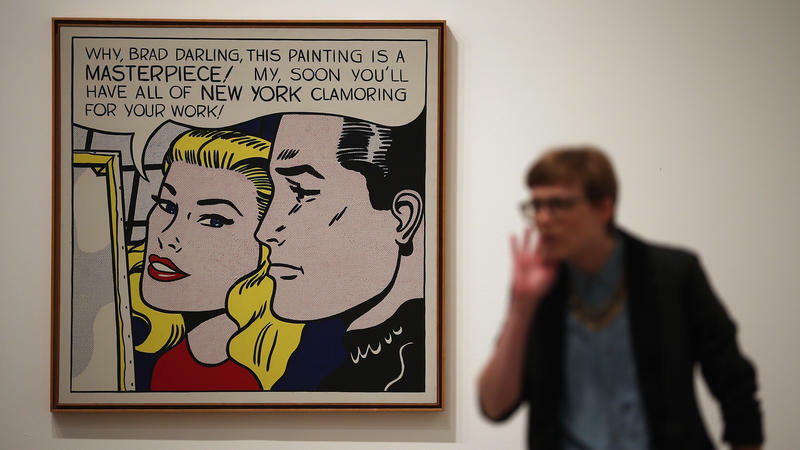 Agnes Gund sold Roy Lichtenstein's 1962 work Masterpiece, reportedly to billionaire hedge fund manager and art collector Steve Cohen. The sale apparently took place months ago; an art industry newsletter reported on the transaction in January, but Gund would not confirm it.